Thu., Jan. 5, 2017, 4:49 p.m.
RENTON, Wash. – Until a month ago, the Seattle Seahawks never knew what it was like without Earl Thomas on the field. Now they’re finding out how much Thomas means to everything they try and accomplish defensively. Since Thomas was injured early in Seattle’s Week 13 win over Carolina, the Seahawks have become vulnerable against the pass. In the final four games of the regular season, the opponent passer rating against the Seahawks was 105.0. In the first 12 games, it was 77.9. And while that final four-game stretch included stellar games by Aaron Rodgers and Carson Palmer in a pair of Seattle losses, it also included performances by Jared Goff, Case Keenum and Colin Kaepernick that didn’t lead to wins against Seattle but were probably better than most expected. Now come the pass-happy Detroit Lions in the NFC wild-card round on Saturday. Steven Terrell has been the one asked to step in for Thomas, even if there is no way to properly replace one of the best free safeties in the NFL. It’s the most Terrell has played in his brief NFL career. Before this season, Terrell had one career defensive tackle in his two seasons with the Seahawks. The experience Terrell is getting appears to be coming at a cost to Seattle’s defense. In the first 11 games of the season, the Seahawks allowed 10 passing touchdowns. In the final five games, including the Carolina game when Thomas was injured early in the second quarter, they allowed six. Perhaps more telling is the lack of interceptions. 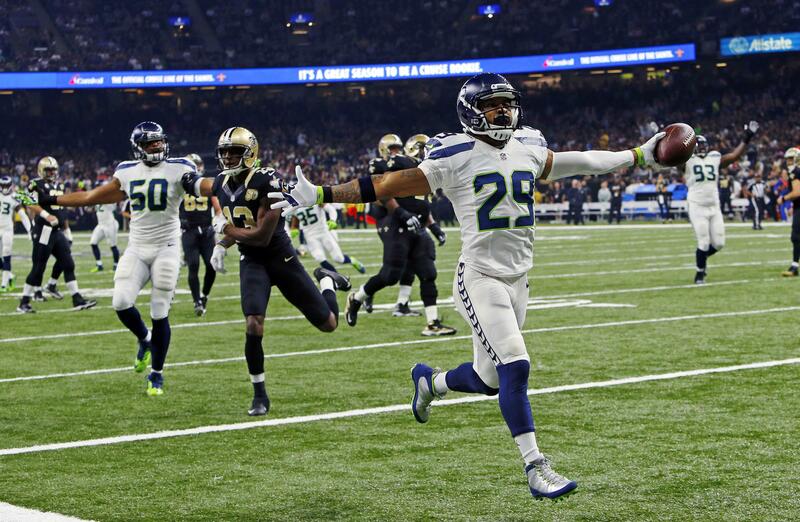 Seattle’s last interception came on the first play of its 40-7 win over Carolina. Since Thomas was hurt, the Seahawks have zero picks. The breakdowns have been noticeable: Ted Ginn Jr. getting deep for a 55-yard touchdown in the minutes after Thomas was injured; Davante Adams getting open for a 66-yard TD; J.J. Nelson running free through Seattle’s secondary, once for an 80-yard touchdown. They’re the kinds of big plays the Seahawks secondary simply has not allowed in the past. Not all those plays are on Terrell. He’s made mistakes, but at the same time quarterbacks have appeared more aggressive in challenging Seattle’s secondary with Thomas not there. If anything, the past month has highlighted how much Thomas’ presence has impacted Seattle’s defensive success. The challenge for Seattle may not be so much this week, but what lies ahead should it get past the Lions. Detroit averages 37 pass attempts per game but only 7.3 yards per attempt. But a Seattle victory sets up a matchup with Atlanta and the third-best pass game in the NFL. That’s down the road. The Seahawks have enough to worry about with Detroit. Published: Jan. 5, 2017, 4:49 p.m.